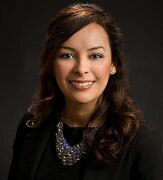 Martindale Hubbell AV Rating Is Awarded to Attorney Beatriz McConnell For Business & Commercial Litigation. Englander Fischer is proud to recognize Beatrice McConnell who recently received an AV rating from Martindale Hubbell in Business and Commercial Litigation. Following an extensive and confidential review by members of the Bar and Judiciary, this designation allows Beatrice to join a select group of lawyers recognized for their legal ability and professional ethical standards. The AV rating is Martindale-Hubbell’s highest.